The Memorial Candle Program has been designed to help offset the costs associated with the hosting this Tribute Website in perpetuity. Through the lighting of a memorial candle, your thoughtful gesture will be recorded in the Book of Memories and the proceeds will go directly towards helping ensure that the family and friends of Rosalind Stracke can continue to memorialize, re-visit, interact with each other and enhance this tribute for future generations. 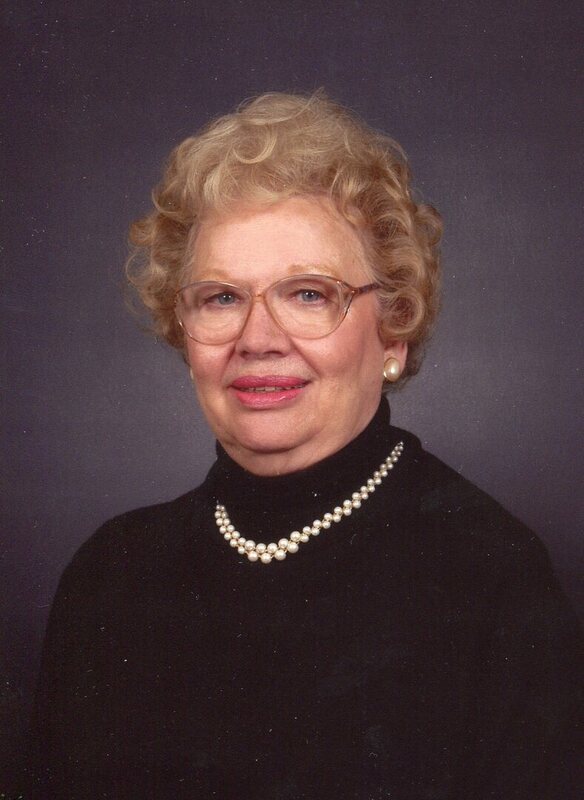 Rosalind Joyce Stracke departed this life and went home to be with her Lord and Savior, Jesus Christ, on Sunday, December 2, 2018. Joyce was born on November 15, 1926, in Lyons, Indiana, the oldest of three children born to Lester and Lois Stevens. Her brother, Laddie, preceded her in death. Her sister, Mona (Jerry) Higginbotham, survives her. Upon graduation from high school, Joyce moved to St. Louis, Missouri, where she met and married the love of her life, Fred Stracke. They had three sons: Dave (Chris), Doug (Lisa), and Don. The memory of Joyce lives on in all three of her boys and all those who loved her. One of her greatest loves was being a grandmother to seven grandchildren: Kirsten (Jeff), Eric (Megan), Joel, Jeffrey, Elise (Shawn), Anna, and Tyler (Sydney), as well as eight great-grandchildren, all of whom cherish the memories of their years with her. Joyce was devoted to her family, friends and church. She loved cooking and collecting cookbooks and recipes, playing bridge with friends and doing jigsaw puzzles, and she was a longtime member of the Red Hat Society. Her nurturing spirit will be missed greatly by her family and friends. Services: Visitation Thursday, December 6, 4:00 to 8:00 p.m. at Bopp Chapel, 10610 Manchester Rd., Kirkwood.